View More In Bows & Ribbons - Page 5. Use the Set of 4 Cabinet Ribbons to spruce up your kitchen for the holidays. Each is easy to wrap around the door and has a fabric-magic closure for adjustability. 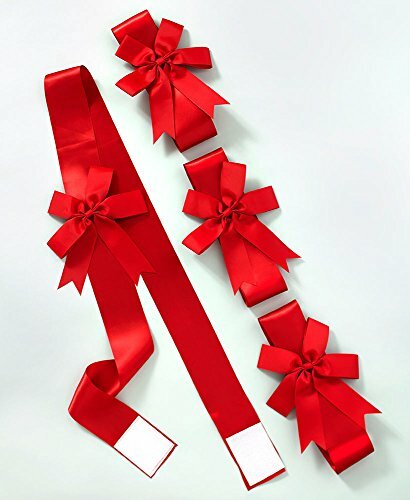 Fits cabinets from 28-3/4"L to 37-5/8"L. A lovely 9" bow is sewn 52" from the top of the ribbon. 3-1/2"W x 76-3/4"L, laid flat, each. Polyester. Imported.